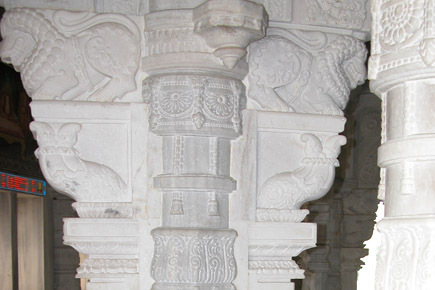 Shree Muktajeevan Swamibapa Smruti Mandir (Memorial Temple) in Ghodasar, Ahmedabad, India, is a unique and grand marble temple built at the exact site of Jeevanpran Swamibapa's cremation in 1979. 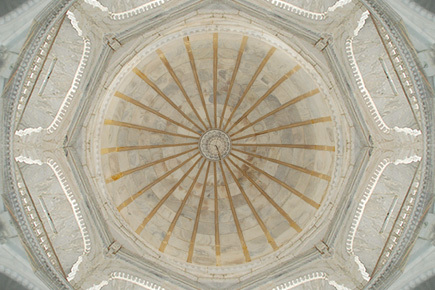 Acharya Swamishree Maharaj built the extraordinary monument in commemoration and celebration of His remarkable Guru. 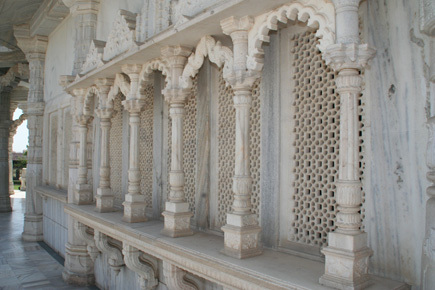 This magnificent Mandir contains unique and unparalleled architecture, art, and sculpture, all representing Jeevanpran Swamibapa's service to society. Under Acharya Swamishree Maharaj's inspiration, construction of the Mandir began in 1980 CE with the auspicious ground-breaking and foundation-laying ceremonies performed by Swamishree Himself. 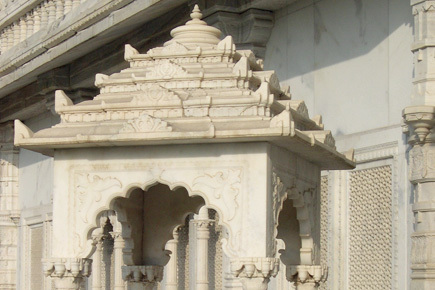 Smruti Mandir is the sweet fruit of Swamishree's eleven years of tireless endeavour. Its opening was performed on September 15, 1991 CE in the presence of the Vice President of India, Honourable Shree Sankardayal Sharmaji, and attended by India's leading ascetics and scholars. 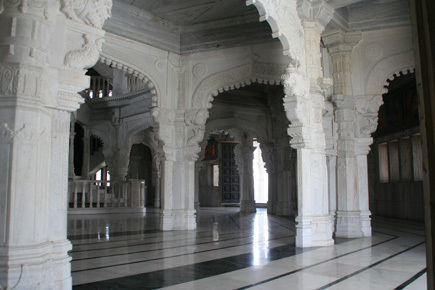 Shree Muktajeevan Swamibapa Smruti Mandir is part of Maninagar Shree Swaminarayan Gadi Sansthan based in Ahmedabad, India.